The MiniSting Single Channel resistivity instrument is offered by Advanced Geosciences, Inc. (AGI) as a low cost alternative when small resistivity jobs do not require the high power of its SuperSting models. Electrical ground-grid testing, survey for corrosion and educational purposes are examples of when the MiniSting will get the job done. Using a manual measurement mode it is pre-programmed for Wenner, Schlumberger, dipole-dipole, pole-dipole, pole-pole, mise-a-la-masse, SP, resistance and azimuthal surveys. 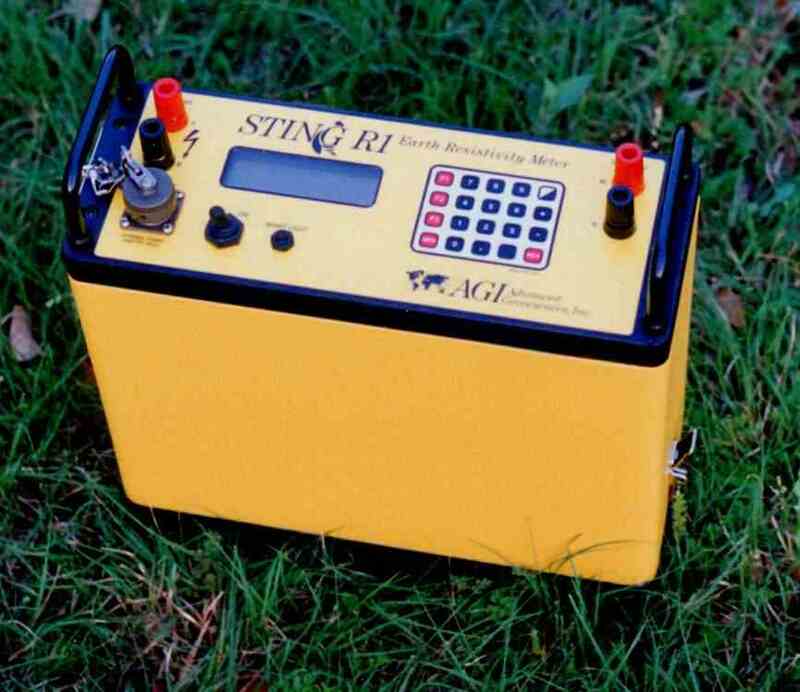 As an AIG resistivity method modeled after the Sting R1 resistivity meter, the MiniSting holds many features of its predecessor. An internal memory saves recorded data for opportune computer download and processing. A serial download cable is included and their utility software, the Administrator, which does data download and command file upload. An option for performing automatic surveys or surveys via computer can be accomplished by pairing the MiniSting with the Swift automatic smart electrode system, Switch boxes and passive electrodes or AGI’s down-hole electrode cables. One day of manual surveying can be completed with the built in NiMH battery. The accompanying battery charger will recharge the batter for future use. If longer usage is required, such as during automatic surveys, the MiniSting can hooked up to an external 12V battery for long-term power. Its compact size and low cost make the system an attractive instrument for use on many different survey configurations. For additional local high yield investments visit kingsbarn.